Rich vibrant pigments for brilliant color drawing and sketching. 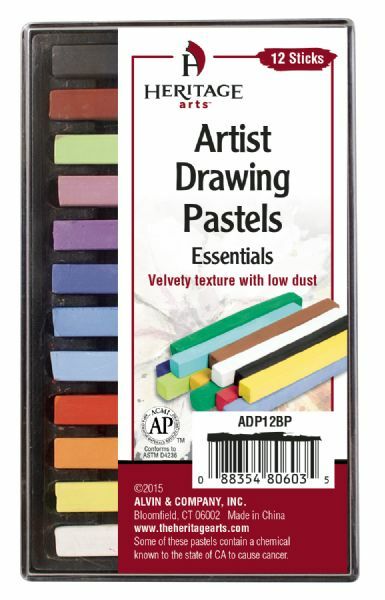 * Same velvety texture as soft pastels with less dust for a cleaner application. * Can be used flat for large areas or sharpened for detail work. 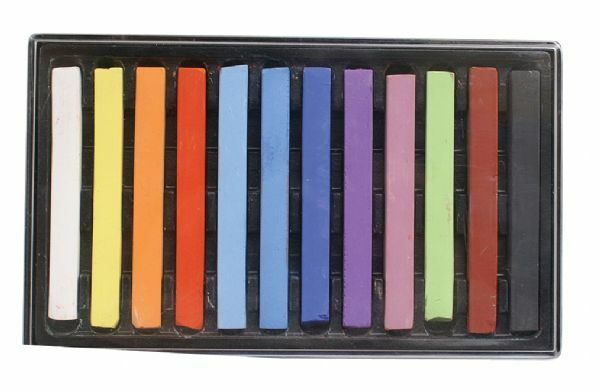 * Set includes 12 pastels: Light Red Orange Lemon Yellow Deep Yellow Ochre White Dark Purple Burnt Umber Brilliant Red Black Spring Green Dark Green Light Turquoise Cornflower. 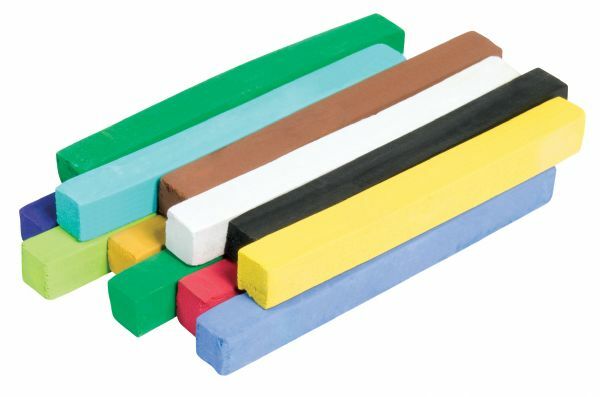 * Each stick measures 1/4" square x 2 9/16" long. 8.46" x 4.13" x 0.79"